Life without a car, especially when you are new to an area and are desperate to explore, is so frustrating. So whenever we have a hire car I like to make the most of it and get to as many places as I possibly can. Knowing that we'd be journeying home from Center Parcs in a car it wasn't long before I was examining Google maps to see if there was anywhere interesting on our route home. I was thrilled when I realised that we could easily pop to Brockbushes on our way back to Newcastle. 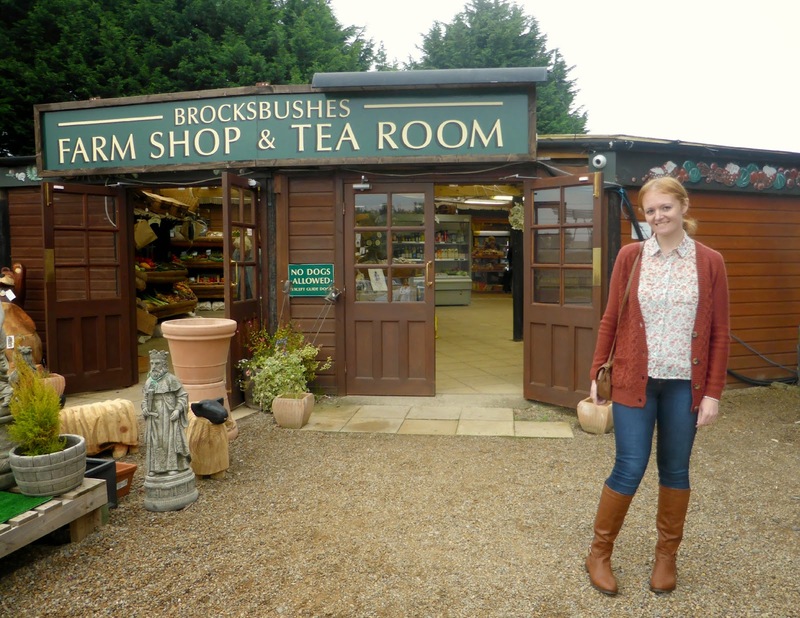 Brockbushes is a Farm Shop and Tea Room that I have heard endless amazing things about and it has been on my cake list ever since I first relocated to the North East. Unfortunately for me, its position just outside Corbridge on a main road makes it a little difficult to reach without a car. Believe me it was worth the wait, I don't even know where to begin in telling you how much I loved Brockbushes. I think I'll start with the cake as it was the main reason we went. 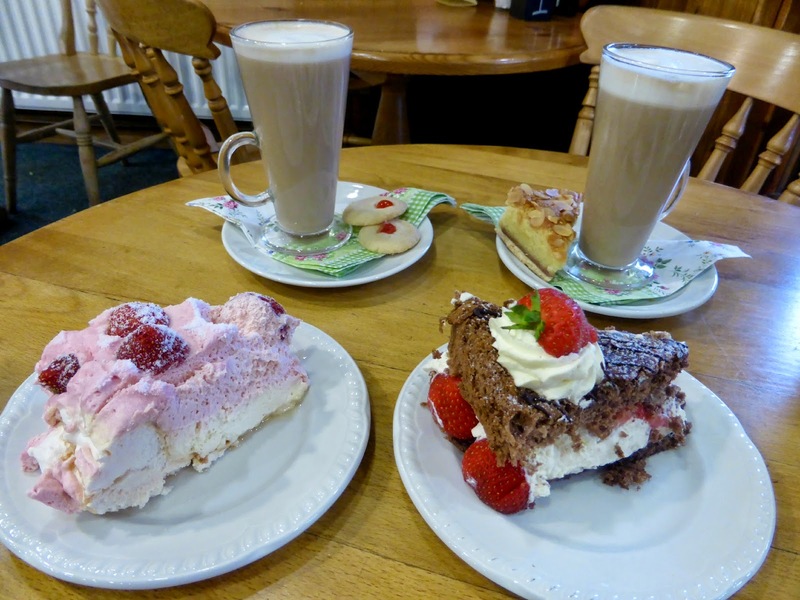 The Tea Room is part of the Farm Shop and is very popular. It seats 100 people but was absolutely rammed when we arrived on Friday lunchtime, we only just managed to find ourselves a table. It may have been packed out but the place was full of regulars which made for a very friendly and happy atmosphere. 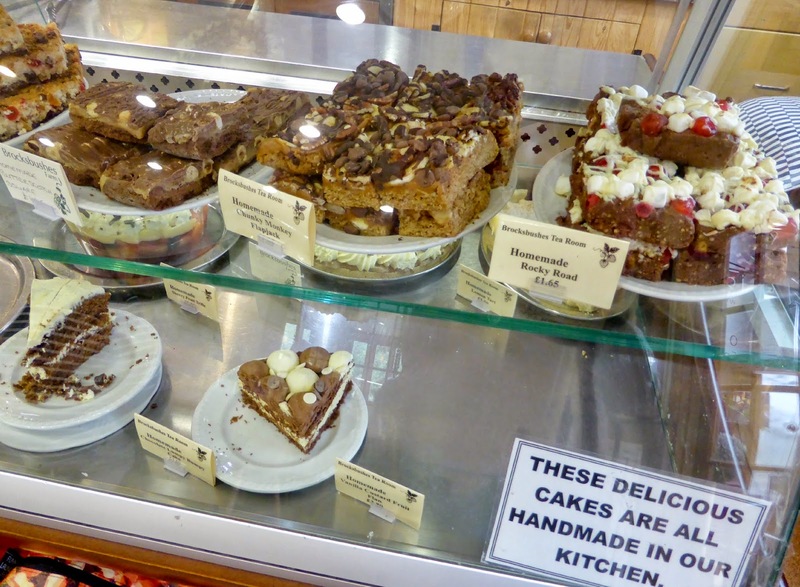 The focal point of the tea room is the food counter which features the largest display of cakes I have ever seen. All home made in Brockbushes' Farm Kitchen, there was a mammoth amount to choose from. 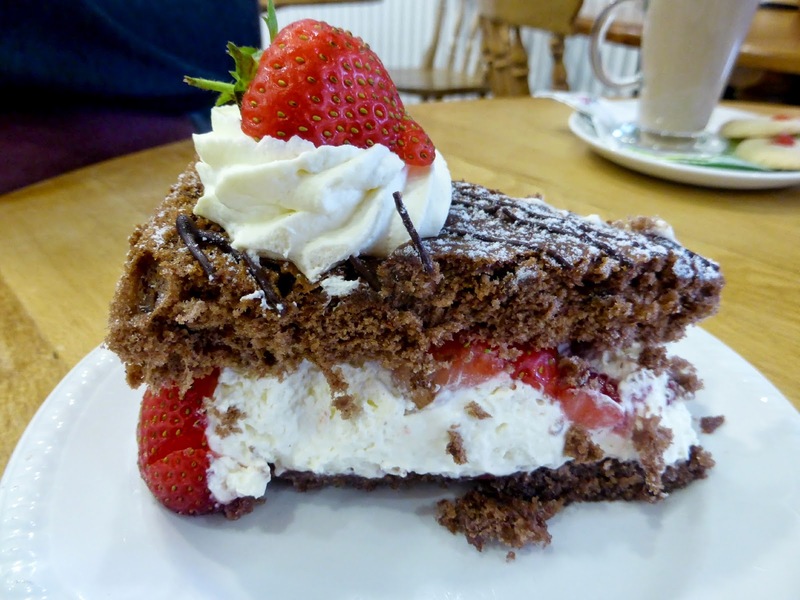 From scones and biscuits to gateaux, cakes and puddings. If we'd been people who eat normal things for lunch there were also some very tasty looking quiches and savoury pies. 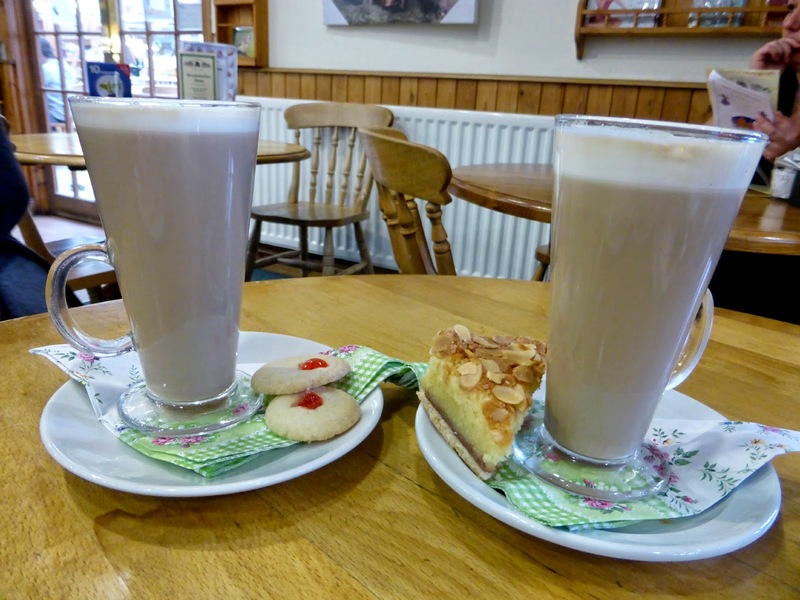 We both decided to have a "special" latte - I ordered a bakewell latte, flavoured with amaretto and cherry syrup and Simon went for a chai latte. On the menu it mentioned that it came with a special surprise .... interesting! When it came to picking out the cake we wanted we had a very tough decision to make. I could happily have stood at the counter all day with my face in the various cakes. 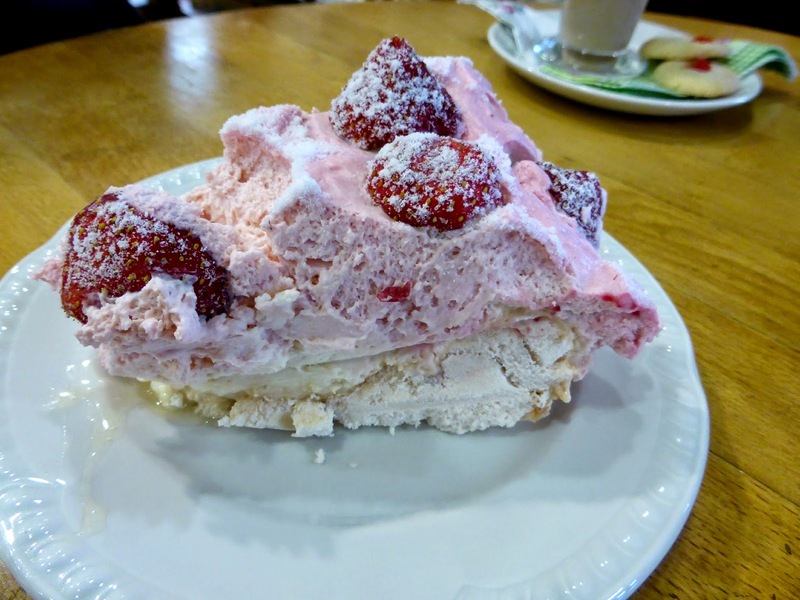 In the end Simon chose a fruit pavlova and I had the chocolate and strawberry sponge. The ladies behind the till were so well organised, despite it being really busy. I was very impressed by how quickly and efficiently our order was taken and before I knew it I was back at the table waiting for our treats to arrive. When our tray of goodies appeared we were overwhelmed by the amount of food we had. Remember the special surprise I mentioned earlier? Well it turns out the special lattes come with sweet treats on the side. Mine came with a generous slice of bakewell and Simon's came with a couple of biscuits. Ooooooops! Our portions of cake were absolutely mammoth which was great because they were both so delicious. 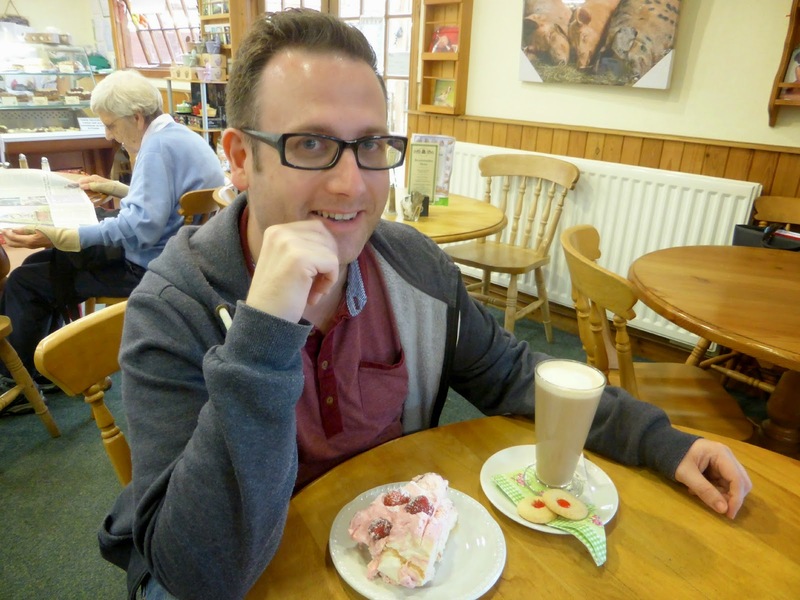 I had a mouthful of Simon's pavlova and it was so naughty and creamy. My chocolate sponge was just as good to look at as it was to eat, it came decorated with fresh strawberries and it took me all of about 2 minutes to eat as it was so tasty. We were so full once we'd finished Simon actually announced he officially had "cake fear" and never wanted to eat another piece of cake in his life (anyone else thinking that could be a bit of a problem?). Luckily we had the rest of Brockbushes to explore to help our cake settle before getting back in the car. The Farm Shop is full of wonderful bits and bobs and I really loved the amount of gorgeous gifts that were on display. 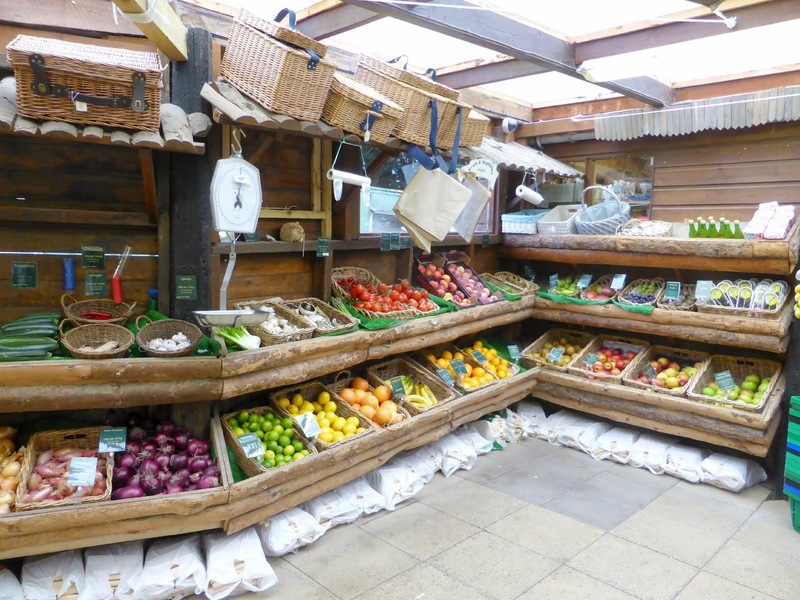 It has a massive amount of local produce with fruit, cheese, freshly baked bread, jams and eggs on sale. I really enjoyed looking in the massive freezers that had puddings, pies and pastries ready to take home. If we hadn't been so full of cake and in need of a serious post holiday detox I definitely would have filled the boot of the car up with frozen treats. 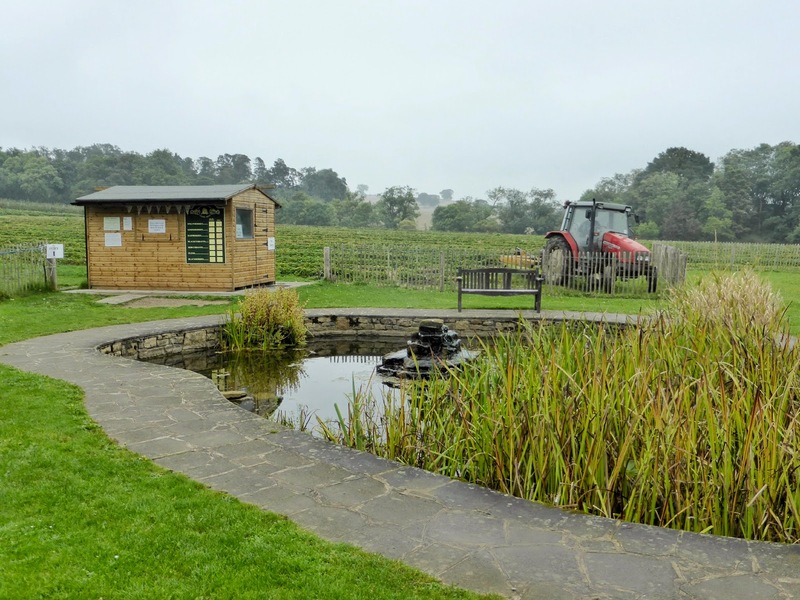 Brockbushes is somewhere I want to return in the Summer as it has a nice large outside space with tables and chairs, a kid's play area and a 35 acre Pick Your Own fruit farm that grows strawberries, gooseberries, blackcurrants and raspberries depending on the season. We only made a very quick visit this time as unfortunately I had a boring amount of holiday laundry to get on with but we will definitely be getting our hands on a car in the Summer so I can do some strawberry picking. SO SO SO SO good, and there's so much choice as well! I could have stood there all afternoon! Those cakes look like the best cakes ever! 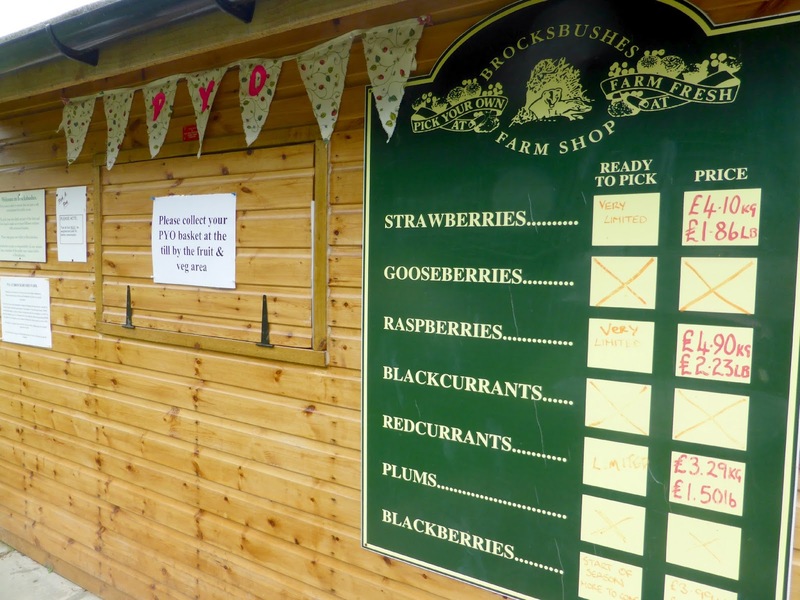 We love brockbushes and have been going strawberry picking for years - it's a fab place for kids. I've never been to the tearoom though as we always tend to go on a weekend and it is just sooooo busy! Those cakes are making me want to change that though! I've heard the tea room gets mega busy at the weekend, I was shocked we managed to find a seat on the Friday, we were very lucky and pinched the last table! Looks great! I definitely want to get there! I've seen the Halloween Maze thing, it looks amazing but I am such a wuss I think I'd get too scared! 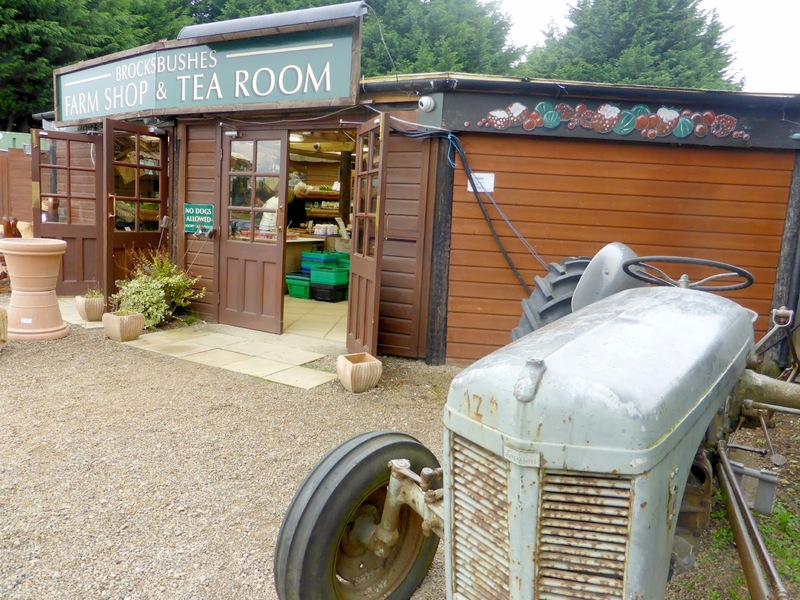 I do love Farm Shops, and tea rooms .. and garden centres! Oooooooooh I bet it's lovely at Christmas! I should know better by now than reading your blog when I'm laying in bed feeling peckish, those cakes look AMAZING. Sorry, I make myself hungry too! oooh! Those cakes and hot chocolate look so delicious! Thank you :) Took me forever to find them!